Dr. Lynne Braun is a Professor in the Department of Adult Health and Gerontological Nursing, Rush University College of Nursing, as well as a Professor in the Department of Internal Medicine, Rush University Medical Center. She is a nurse practitioner in the Rush Heart Center for Women where she focuses on prevention. Dr. Braun’s clinical and research interests include cardiovascular risk reduction, exercise, cardiac rehabilitation, hyperlipidemia, and hypertension management. She is a Diplomate of the Accreditation Council of Clinical Lipidology. She served as co-investigator for 3 research grants funded by the National Institutes of Health, most recently, a study entitled, “Reducing Health Disparity in African American Women: Adherence to Physical Activity.” She is a co-author of five AHA/ACC Scientific Statements, the AHA/ACC statement on Performance Measures for the Primary Prevention of Cardiovascular Disease, and 3 AHA clinical practice guidelines. She chaired the AHA policy statement on palliative care in cardiovascular disease and stroke. She has served as consultant to the CDC’s Division for Heart Disease and Stroke Prevention for several projects. Dr. Braun is an editorial board member for the Journal of Clinical Lipidology; she serves as reviewer for numerous other journals. Dr. Braun has been an active volunteer for the American Heart Association since 1980 in numerous capacities. She is the immediate Past Chairperson of the Illinois Advocacy Committee, and the President-Elect of the Midwest Affiliate Board of Directors. 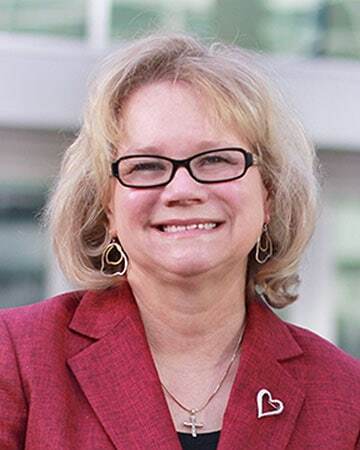 Nationally, Dr. Braun is the Past Chairperson of the Council on Cardiovascular and Stroke Nursing, and is a member of the Advocacy Coordinating Committee. Dr. Braun is Past President of the Preventive Cardiovascular Nurses Association and a current board member. She is an elected Fellow of the American Academy of Nursing, the American Heart Association, the Institute of Medicine of Chicago, the National Lipid Association, the American Association of Nurse Practitioners, and the Preventive Cardiovascular Nurses Association. She is the recipient of numerous awards, including the Marie Hippensteel Lingeman Award for Excellence in Nursing Practice from Sigma Theta Tau International, Distinguished Alumna Awards from the University of Illinois at Chicago College of Nursing and Rush-Presbyterian-St. Luke’s Nurses Alumni Association, the Healthcare Volunteer of the Year Award by the American Heart Association, and the Coeur d’Or Medical Honoree by the American Heart Association of Metropolitan Chicago.